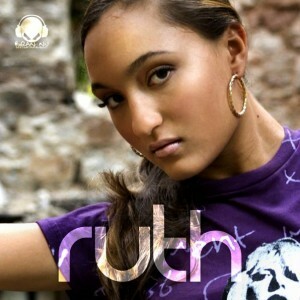 (November 8th, 2011) Bran-Nu Entertainment’s recording artiste, Ruth-Ann Brown, recently received six nominations in five categories for her EP, ‘RUTH’ at the Annual Washington DC Reggae Music Awards. The categories in which she is nominated are ‘Best Reggae Female Recording’, ‘Song of the Year’ (two nominations for ‘I Love You’ and ‘Jamdown’), ‘Songwriter of the Year’, ‘Best Reggae Recording’ and ‘Best Female Performer’. The awards ceremony will be held in May 2012. Rhoan Bromfield, executive producer and producer of the EP ‘RUTH’, is also nominated in the category, ‘Producer of the Year’. In addition to the nominations, Ruth-Ann Brown and producer, Rhoan Bromfield, just completed her next single, ‘Any Day Now’, which is slated to be released within the fourth quarter of 2011. ‘Any Day Now’ celebrates returning home to the place of one’s peace. If you’re in the Washington DC area, you can see Ruth-Ann Brown performing said songs in addition to unreleased material this coming Thursday, November 10, 2011. For further information, visit both Ruth-Ann Brown and Bran-Nu Entertainment online at http://www.facebook.com/ruthannbrownmusic and http://www.facebook.com/brannuent. The EP, ‘RUTH’ is available for download online at iTunes and Amazon. ‘Any Day Now’ will be available for download soon.